Our business meeting rolled over into dinner time! The choice- old school Italian! Of course, my nerves started rattling- oh my.. what in the world am I going to eat in an authentic Italian style “meat” filled restaurant. Remember, I don’t eat pasta either! Not just what am I going to eat- but what may I be tempted by. It’s not easy when transitioning. I have been spoiled lately, preparing my own food and frequenting mostly vegetarian or vegan restaurants and cafes. Feeling brave and only really going for the conversation and support- I welcomed the challenge! At Marinella, a restaurant which has been in the West Village on the corner of Carmine Street and Bedford for as long as I can recall, they were of course, wonderful and incredibly accommodating! As a matter of fact- I had an amazing meal! Technically, I am still spoiled! 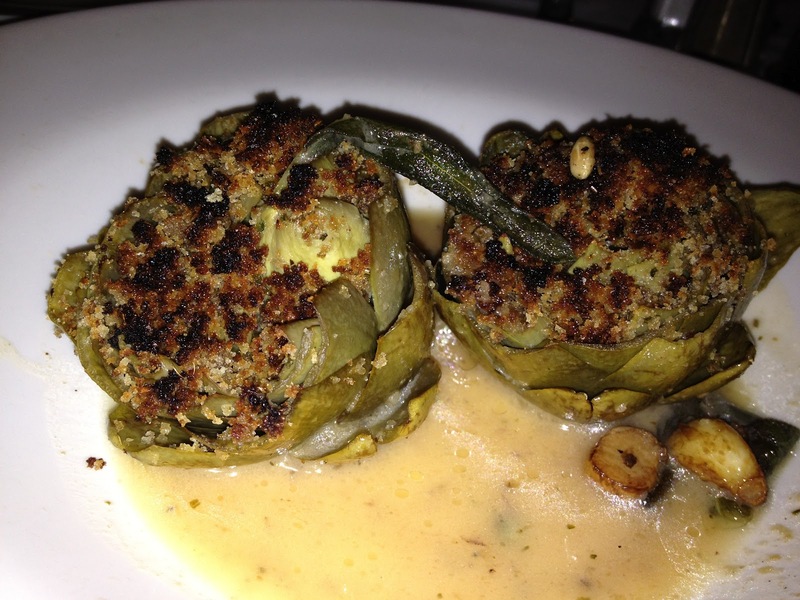 I started with a stuffed artichoke in an amazing base sauce- no cheese! This was really as delicious as it looks! 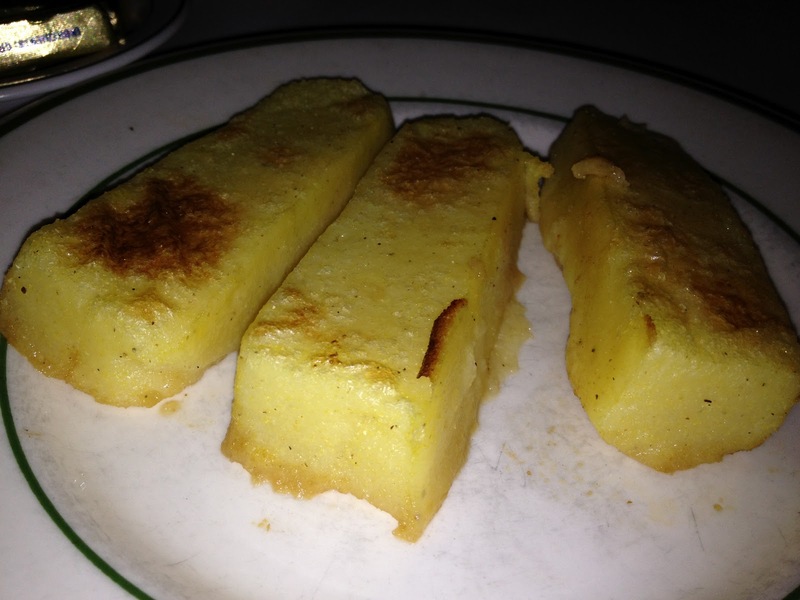 Then for dinner I had polenta. They don’t make it with any butter or cheese- no need to- it was amazing as is! This was prepared beautifully and literally melted in my mouth! It’s most likely not organic though. 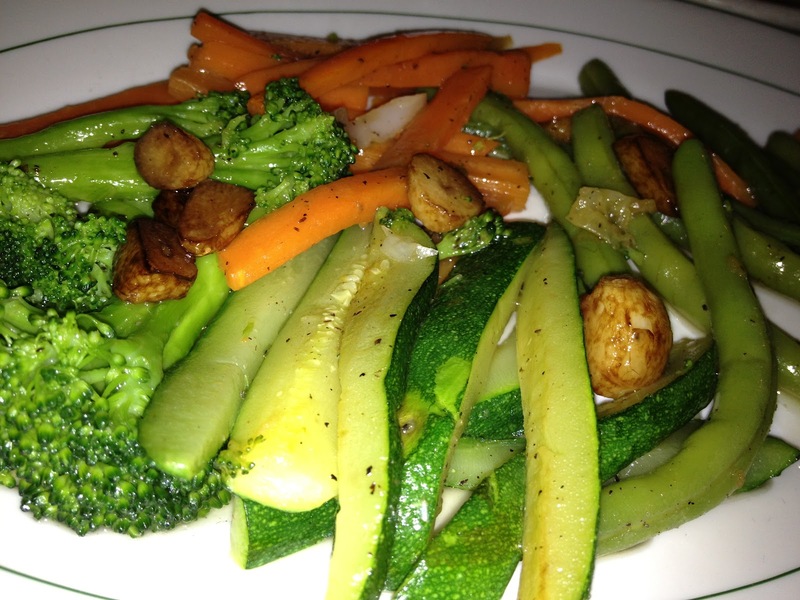 With the polenta, I enjoyed fresh vegetables that they prepared for me. I ate everything! I figured I would have to pass on the dessert when they came around with a display. There was this gorgeously glazing orange peeled and juicy with a light grand mariner based sauce poured over it. I went for it! Grand Marnier and all! Luckily, or unluckily lol, I didn’t get a buzz. The dessert was so good that I didn’t get a chance to take a picture. I almost ordered another but then I said no since I was meeting someone for vegan food later!